If you read this past Sunday’s post, you already know that my wife and I just returned from a wonderful vacation in San Diego. And that two of our many interesting activities involved music. 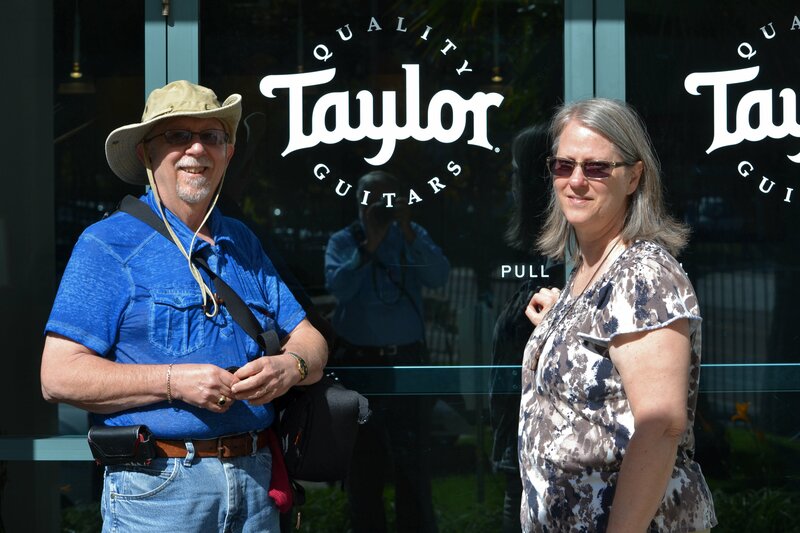 I told you about the Museum of Making Music on Sunday, and today I’ll share about the visit to the Taylor Guitar Factory. I have a Taylor. 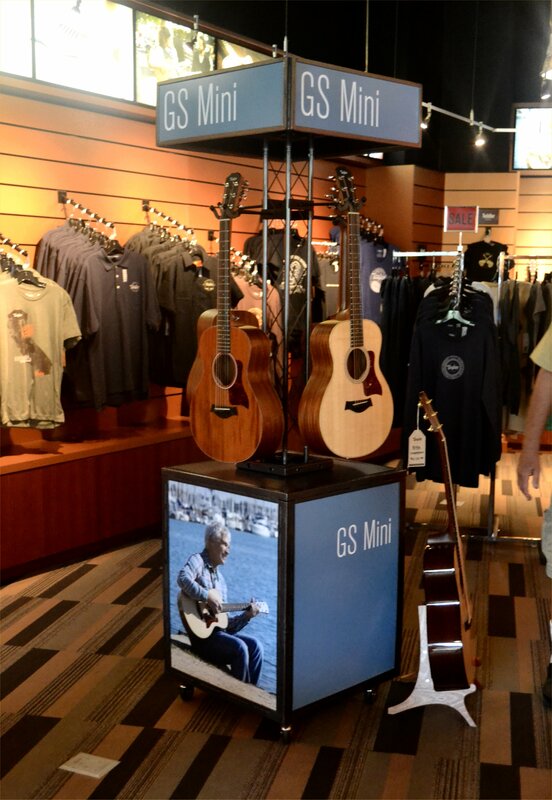 A GS Mini, which is a 3/4 size guitar with amazing sound quality for something so miniaturized. 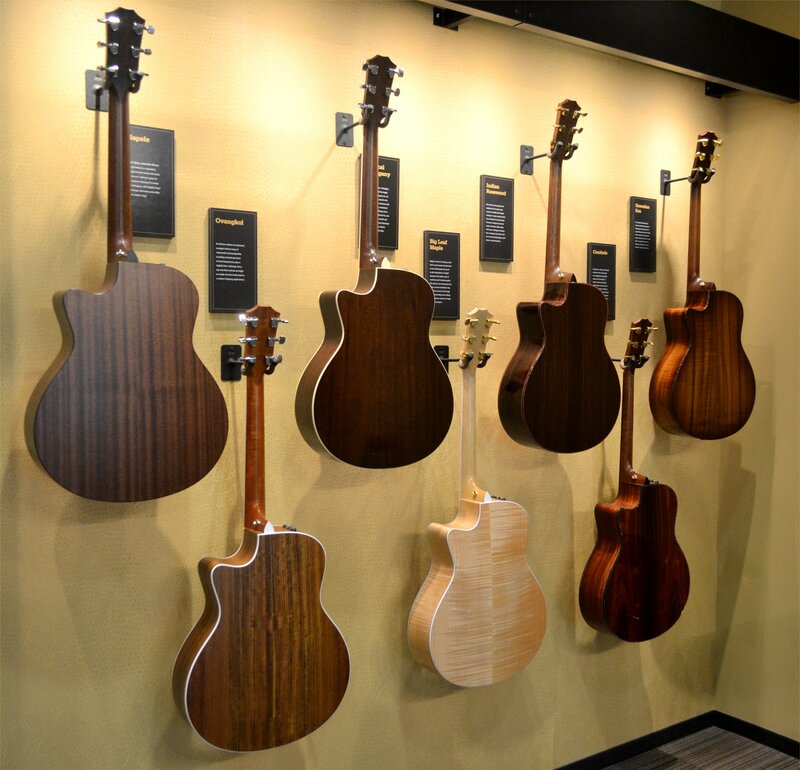 Taylor has only been making guitars for forty years, compared to Martin, which has been in business since 1833. But their guitars have become widely popular and widely used among both professional and amateur musicians. They’ve been quite innovative in such things as creating a bolt-on neck and in their use of machinery, including lasers. 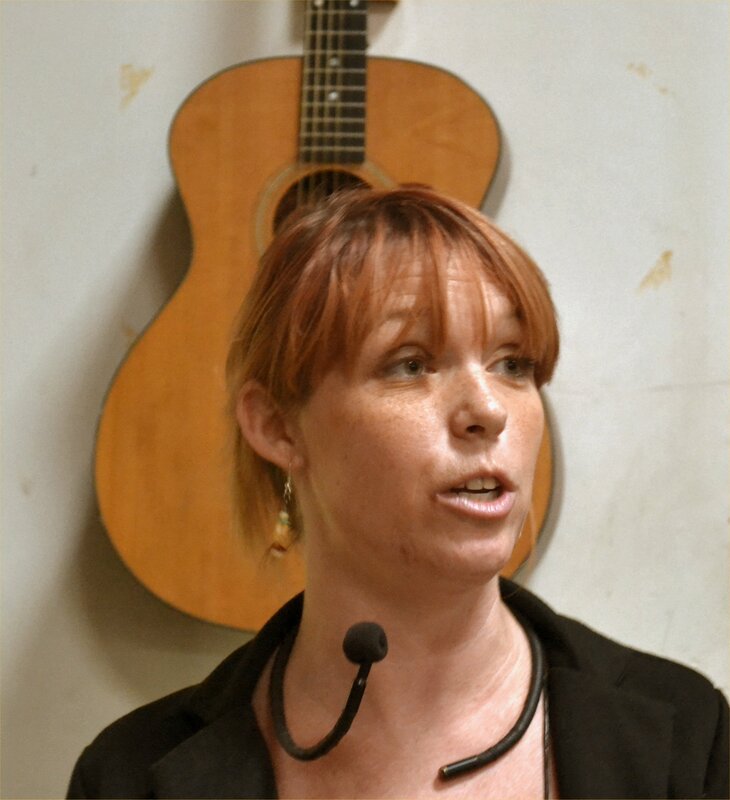 Upon passing the reception desk, we came to a room full of guitars I was free to take off the walls or out of the stands and play to my heart’s desire. Doing that make clear that the the $2500-2700 guitars sounded appreciably better than the $1900-2000 ones. Not that I would object to one of the lesser ones, but–drat it!–they weren’t giving any away, and about all we could afford was $20 for a T-shirt. But it’s a really nice one…commemorating Taylor’s fortieth anniversary. I would’ve loved to have one of their beautifully tooled, thick leather straps, but–alas–$80 for that will have to wait for another time. In a room on the other side of the reception desk were more guitars. 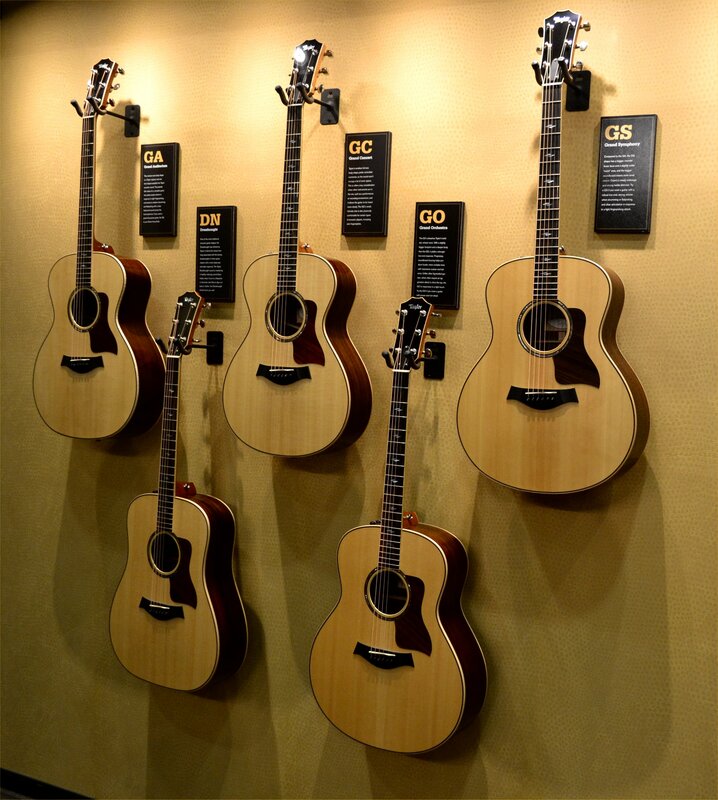 Acoustic and acoustic/electric guitars without price tags. I’m assuming they were more than the others. Also in that room were samples of their hollow body electric guitars–and a bit further in–guitars with their backs out, showing the various exotic woods one can have his choice of guitars made from. If I recall correctly, Taylors run as high as $5,000. The tour, starting at 2:00 p.m., was led by a young lady who used a wireless headphone system to guide us through the factory. Don’t let Taylor’s use of machines fool you. There’s still a lot of hand work done on each guitar. 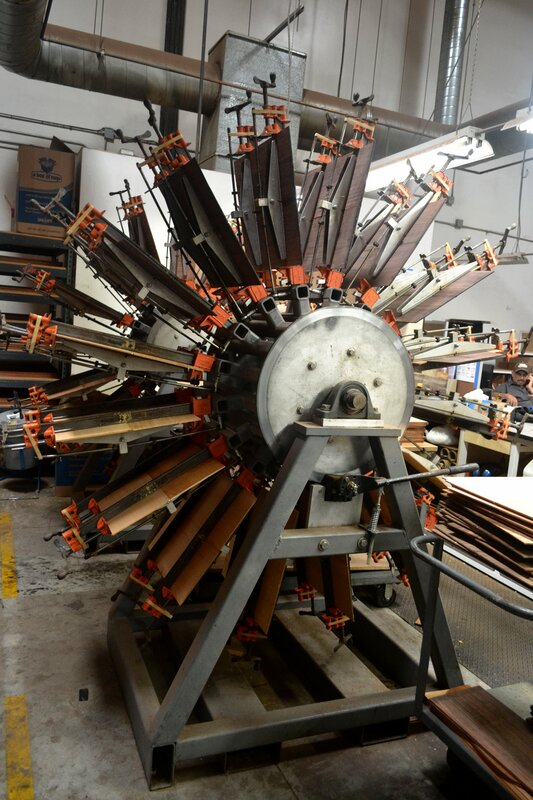 Nonetheless, machines like the ones that bend the sides of the guitar into shape–interestedly, the machine operator sprays the wood with a little bit of water before running it through the machine–and the robotic machine that buffs the guitars after they receive their finish are of special interest. Not to mention the one that dries the glue in minutes, not days. The wood glue they use contains an element that glows. So if any glue gets on the outside of a guitar, it can be detected easily and sanded off. Taylor is big on reusing as many materials as possible. 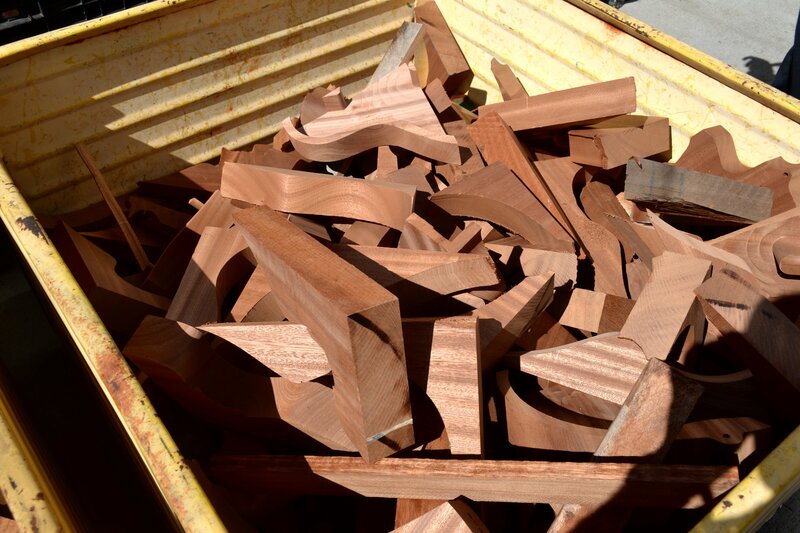 A large box contains wood scraps which are either used for other parts of a guitar or donated to a local toy maker. 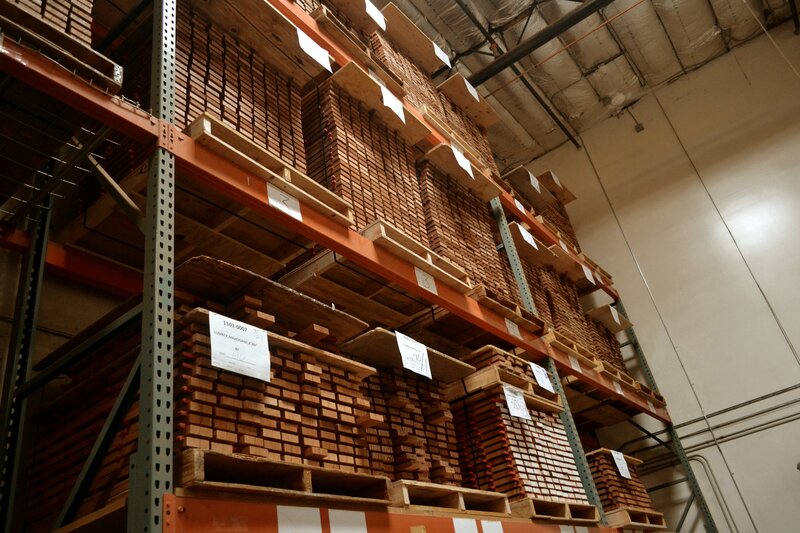 And what can I say about the huge room full of exotic woods? Incidentally, Taylor is very environmentally friendly when it comes to protecting the forests their woods come from. I could say a lot more, but I’m about all talked out. 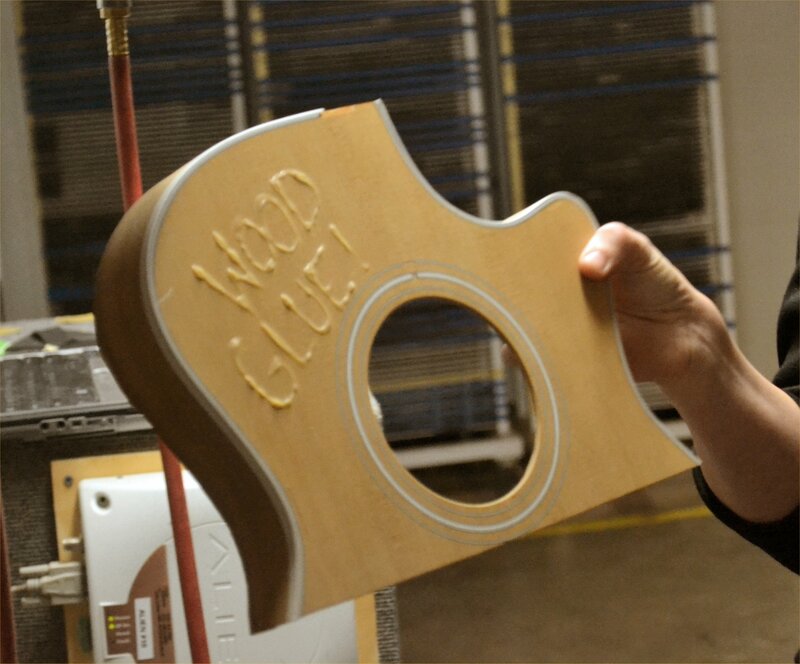 Except to say they let us take some of the wooden holes cut out to make the sound holes. Great souvenirs! These pictures are just a sample of all the ones I took. If you want to see more, I’ll be posting an album on my Facebook page soon. Are you a guitarist? Do you have a Taylor? What do you play? All comments gladly welcome. Be on the lookout for my next novel, The Devil and Pastor Gus, which releases on November 25. It’s available for pre-order HERE. 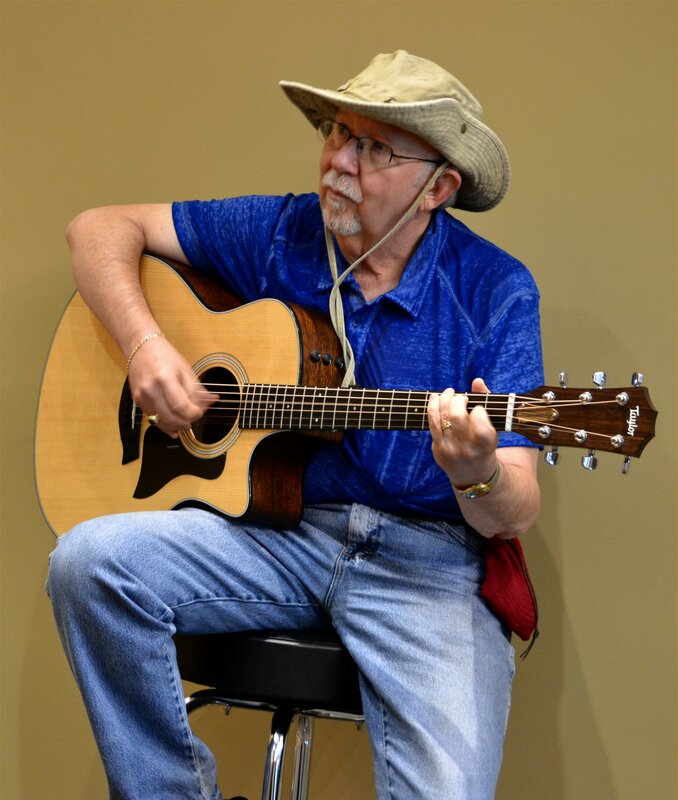 This entry was posted in Guitar, San Diego, Taylor Guitars, Uncategorized and tagged As I Come Singing, On Aging Gracelessly, Roger E. Bruner, San Diego, Taylor Guitar Factory Tour. Bookmark the permalink.